what they’ve maimed and defiled. Greetings summer people. We are Starting a new group here at the art temple based on the teachings of Don Miguel Ruiz as found in his books The Four Agreements, The Mastery of Love, and The Voice of Knowledge. We’ll be meeting on 2nd & 4th Wednesdays from 7-9pm starting this Wednesday the 28. Bring a notebook $5-10 and an openheart as we explore these illuminating ancient teachings. Please RSVP by emailing or calling myself @ 892-9434 or by calling Teri (the coordinator) @ 345-3984. Thanks! I’ll be here this weekend. working and watching music check out the line up! here’s some info on a talk if you’re not planning on going to the art opening at the crux or want to show up fashionably late. I’ve seen him speak before and it’s quite nice. Born in 1932, Lin Jensen has seen some of the best and worst that life can give, and it is his unshakeable conviction that love and beauty take root in even the most barren of places and that no matter how difficult life can be, its sweetness is always with us. His last book Bad Dog! received rave reviews, like “simply the best book on the wisdom of living I have seen in many years” (Thomas Moore, author of Care of the Soul) and, “Bad Dog! reads like something Steinbeck might have written had he been a Buddhist” (Chrostopher Moore, author of Fluke). Come hear excerpts from Lin’s upcoming work Pavement: Reflections of Mercy, Activism and Doing Nothing for Peace. 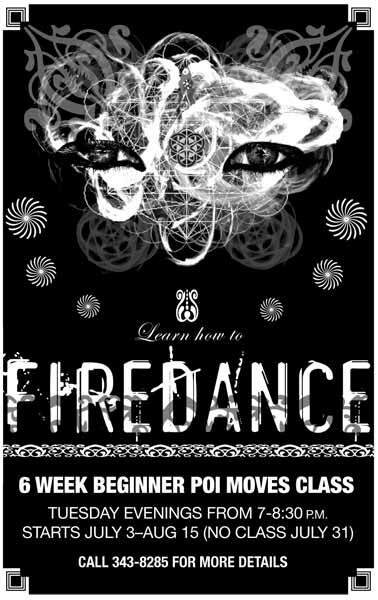 wanna learn how to firedance? I Was in Santa Rosa this weekend at the Harmony Festival. We did two plays of the Lorax at the children’s stage. It was truley amazing to see so many beautifuls souls expressing love and emanating with intentions from their heart centers. DEEP breath. Saw Jose Arquelles speak which was very cool. Here’s an article I came back too, which is very much a similar discussion that was going on w/ Arquelles and that has been going on within my own being. William Meader is an author, teacher and counselor. 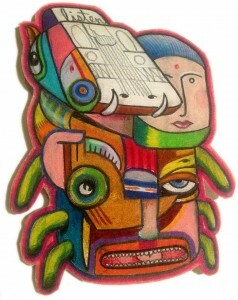 Much of his work is focused on the subjects of Spiritual Creativity, the Evolution of Consciousness and the Astrology of the Soul. He is also an experienced teacher of various meditation practices. At present he is teaching in the United States, Canada, Europe, Australia and New Zealand. He resides in California, and can be contacted at william@meader.org.